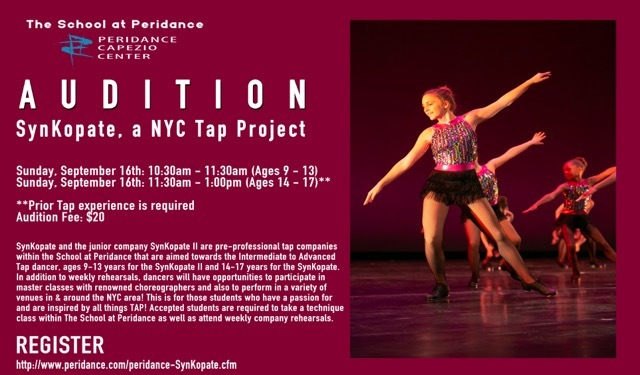 SynKopate and the junior company SynKopate II are pre-professional tap companies within the School at Peridance that are aimed towards the Intermediate to Advanced Tap dancer, ages 9-13 years for the SynKopate II and 14-17 years for the SynKopate. In addition to weekly rehearsals, dancers will have opportunities to participate in master classes with renowned choreographers and also to perform in a variety of venues in & around the NYC area! This is for those students who have a passion for and are inspired by all things TAP! Accepted students are required to take a technique class within The School at Peridance as well as attend weekly company rehearsals. 1. To offer performing opportunities for students who are dedicated to Tap. 2. To provide a focused environment in which students learn to work together as a team. SynKopate, formerly known as TapCo, was founded in 2015 under the direction of Karin Rendelman. 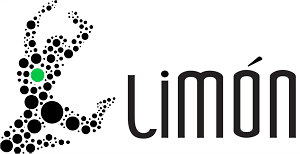 Now, there are two companies, known as SynKopate and SynKopate II. SynKopate is for students ages 12-17 years, and SynKopate II is for students ages 10-13 years. Both companies are required to take a Tap technique class in the School at Peridance, as well as rehearsing choreography together during weekly rehearsals. Both companies have multiple performance opportunities in the Salvatore Capezio Theater at Peridance Capezio Center, as well as other venues throughout NYC. Being part of SynKopate and SynKopate II is a year-long commitment, and all company members must take the required technique class and attend weekly rehearsals. SynKopate and SynKopate II company members are accepted by audition only. They must take a Tap technique class in the School at Peridance, which are specified by Rendelman and School Coordinators. It is important to continue training in technique so that company members can better execute their choreography and continue to build upon choreography. In addition to weekly technique classes and rehearsals, company members learn choreography from Karin Rendelman, who is an established Tap teacher and is the primary teacher of the PeriChild and PeriTeen Tap programs in the School at Peridance. Company members have the opportunity to perform in various shows and performances throughout NYC. For more information and to audition, please contact the School at Peridance Assistant Coordinator Kelly Voelpel at 212-505-0886 or kelly@peridance.com. Karin's infectious energy and her passion for dance was seasoned while she mentored under Broadway tap dancer, Jimmy Tate. She has been teaching for over eleven years and during this time, was honored to become the Director of the Dance Department at the nationally renowned Weiss School. Karin teaches various levels of Peridance's Tap Program, bring rhythm and syncopation to all who step in her class.